With all the training and education nurses receive, there is little true explanation about the importance of documentation. Even in today’s litigious culture and the backlash of services no longer reimbursable—it is crucial we as nurses understand the rationale for our documentation practices. By creating specific systems to ensure license protection, we in turn provide more effective hand-off communication. 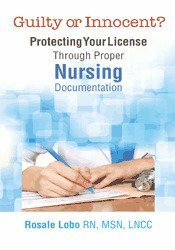 Every nurse knows it’s the law and that you don't want to lose your license, but do we really know why the methods of documentation are so vital to our livelihood? Has the electronic medical record made this approach additionally arduous? Do the questions on the EMR provide an accurate picture of the actual care provided? Often times, these reports are not clear or complete. Through fictional and non-fictional stories, Rosale Lobo reveals proper nursing documentation techniques— providing clarity and important best practice concepts that can be applied immediately. Extraneous situations will arise in nursing, making it imperative to develop intentional methods of documentation. By putting together an effective system you will decrease your chances of being sued. For the future of nursing documentation, the EMR is not the answer, a personal system of accountability is. Rosale Lobo has been a nursing professional since 1985. Her roles range from almost every clinical sector to academia and management. In addition to working in many venues, Rosale has lived in New York, Florida, North Carolina, Georgia, and Connecticut. Just as important are the years she spent as a float and agency nurse. Ten years ago, Rosale became a legal nurse consultant. She worked with attorneys in different states and various sized law firms. This eclectic experience proliferated her knowledge on nursing documentation. 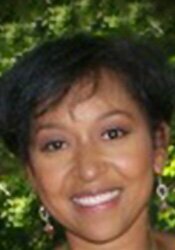 Rosale is a BSN graduate from Long Island University, Brooklyn, New York (1986) and a MSN graduate from Hunter Collage, New York (1989). She is currently a doctoral student at Walden University pursuing a degree from the School of Public Policy and Health Care Administration with a focus in Health Care. She is a member of the American Association of Legal Nurse Consultants, past Educational Board Member for the Connecticut Association of Legal Nurse Consultants, Board Member of the Eastern Regional Legal Nurse Consultants Conference, a member of the American Society of Public Administration, and a member of the American Nurses Association. She as has strong affiliations with the Juvenile Diabetes Research Foundation as a committee member and mentor. Rosale has learned that documentation is the unifying factor in nursing. She became a legal nurse consultant in 2003, working with plaintiff and defense medical malpractice attorneys. Rosale has studied 1000's of medical records (paper and electronic) supporting the process of litigation. As a nurse educator, she is excited to present this knowledge to you.